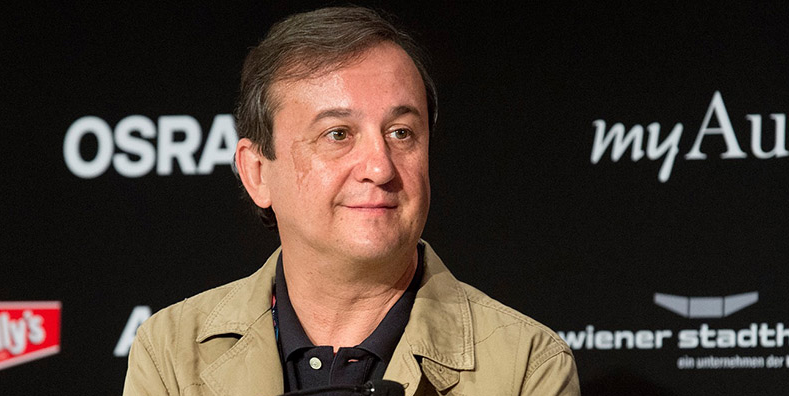 Federico Llano is no longer the Spanish Head of Delegation in Eurovision! Changes are coming in the Spanish delegation! After the controversy about the election of the Spanish entry for Kiev in Objetivo Eurovision, Federico Llano abandons all his tasks related to the Eurovision Song Contest, and after 15 years stops being the Head of Delegation for Spain in this Contest. Federico Llano, the Head of the Spanish delegation in Eurovision since 2002, has resigned and will not attend Eurovision this year in Kiev. Despite departing from the Spanish Eurovision delegation, Mr. Llano will continue to do his other tasks at RTVE. Federico Llano confirmed to the Spanish portal Bluper that he is indeed no longer involved with Eurovision in Spain, and that the reason behind it is personal, due to other professional projects. Mr. Llano has always been in the spotlight together with Toñi Prieto – the Head of Entertainment of RTVE, for the decisions taken in recent years, and according to Bluper, this step back is nothing more than the consequence of the accusations against the delegation. Mrs. Toñi Prieto attended a meeting with the Audit Committee yesterday in order to clarify what had happened in Objetivo Eurovision, answer to all the accusations that fans, media and politicians held against her, in order for the Committee to make a decision on the future of the Spanish delegation. She refused to resign, and denied any sorts of accusations of the national selection being set for Manel Navarro to win. She stated that her relationship with her daughter (an employee of Sony Music Spain and a member of Navarro’s Eurovision team) had no influence at any time in the decision-making regarding Objetivo Eurovision. She also stated that the election of Xavi Martinez as a member of the jury was fully professional, and that it was not known that Martinez and Navarro had a previous relationship as friends before the show, even though they made this clear with several exchanges on Twitter. An urgent meeting is going to be held shortly at RTVE, where not only the new Head of Delegation will be elected, but there will be talks about ways to improve and clean the Eurovision brand in Spain, after the controversy that arose after Objetivo Eurovision. Rumours are going around saying that Ana Maria Bordas, the head of international projects of RTVE is going to be the new Head of Delegation for Spain, but this is yet to be confirmed. The running order of the second semi-final of Söngvakeppnin revealed!